Security News and Information | Lock It Up, Inc. Car keys, locks, and remotes. How do they work? Locksmith Scammers...they are out there. Learn more! Can we program keys bought online? This is a question we get frequently! Check out this video to find out the answer. Can My Locks Be Keyed The Same? Key Hiders - What to do, and what NOT to do! If you decide to use a key hider, use caution in where you place it, don't tell anyone that you have one, and be sure to get one that has all of the features that you desire. So what is a key hider? 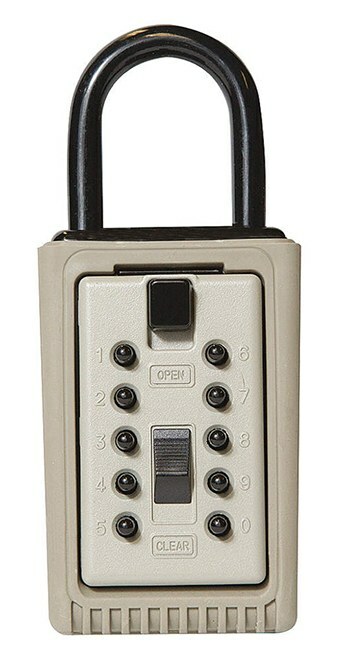 Just as the name suggests, it's a device designed to hide a key that you may need if you lock yourself out of your car, home or business. These are very handy to have, but there are some simple rules that you should follow before you use them. I'll detail that for you below. What exactly is a transponder? A transponder is an electronic chip in your car key. This chip can be glass or ceramic and contains a tiny circuit board and some really fine wires. 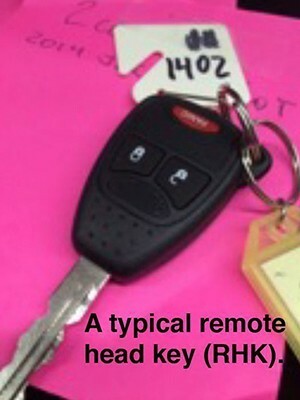 The chip is buried in the plastic or rubber head of your key, or if you have a key with remote control buttons on it (RHK, or Remote Head Key), it may be incorporated into the remote circuit board. The chip is activated by the car and the information is read by the computer which tells your car whether or not it’s ok to start. Some cars read the chip as soon as it is placed in the ignition lock, some read the chip when it’s turned to “on”, and the newer ones actually transmit a signal which the car can “hear” like a radio station. When it “hears” the right signal, you can push a button to start the car. Get extra keys BEFORE you lose your last one! I get calls every day from folks who lose their keys. These could be car keys or house keys. House keys are easier to reproduce or generate when a key is lost and is therefore a cheaper service to perform. Car keys are a whole other animal. There are so many different makes, models, and years that it is really a challenge to keep up with all of them. Many times people are hesitant to buy another car key because of the expense. I can tell you now that whatever that expense is, it is much cheaper than having a key made when you lose all of your keys. The more “exotic” or fancy your car, the higher the cost in most cases. This is especially true of higher end vehicles such as BMW and Mercedes. Even Mini Coopers are expensive. Most of these vehicles cannot be done by a locksmith unless they are very advanced. There are some around, but in most cases they are only to be found in larger metro areas. The cost to be equipped to handle these types of keys is very prohibitive unless you are in a market that supports a lot of these calls. What is a code key? This is an interesting question. Basically, a code key is a key that is cut to exact factory specifications. It is made fresh and not duplicated from an existing key. Why is this important? There are many reasons and I’ll outline some for you. All locks have different tolerances in their mechanical make-up. That means that some locks will operate with a badly cut or badly worn keys and some locks won’t operate if the key is only a few thousandths off in the cut depth or spacing. 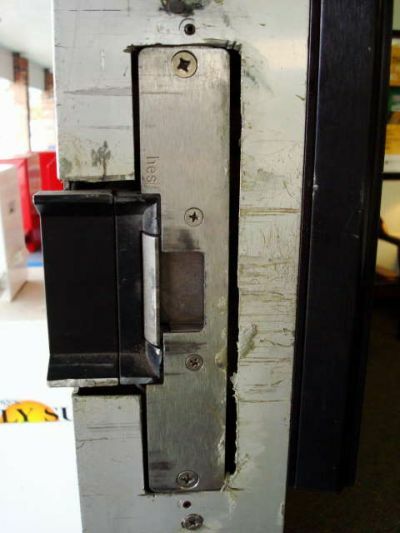 For example, Kwikset locks are quite sloppy. You can usually get a Kwikset lock to work even with a really poorly cut or worn key. High security keys such as Medeco, will NOT work if the key is mis-cut by even a very small margin. Can I get keys and remotes from eBay? I am often called about cutting and programming keys and remotes purchased from online sources. For this article I will just use the term “keys”, but remotes have the same issues. People often don’t like the response given when asked. There are many, many key sellers online and they are not all created equal. The old adage that “If it sounds too good to be true…” is the best advice I can give you. Many times the keys sold online are much cheaper than those sold by locksmiths and the dealer. There a few reasons for this. Many of these keys are produced by Chinese companies and are very inexpensive. The problems are quality and reliability. The Chinese are known for copying just about everything out there. There are mixed results when it comes the quality of the products. Many of these keys are made from inferior products. Over time, sometimes a very short time, the plastics will break, the metal in the keys can be too brittle, even the transponder chips have been known to fail. The Dealer Said They Are The Only Ones Who Can Make My Key! I am often told by people I come in contact with, that the dealer says that only the dealer can make them an extra key. Well I hate to say it, but that is just simply not always true. I am not a car dealer, so I can't tell you all there is to know about selling cars. The dealer is not a locksmith, so there is no way for them to know exactly what a locksmith is capable of doing when it comes to keys and remotes. There are some vehicles that we locksmiths cannot currently duplicate or replace, but not many. And all it takes is a phone call to see if we can do it and get a price. If you get a cheaper price from the dealer, please let us know and give us the opportunity to meet or beat it if we can. It's not always possible to beat them, but we will always be honest with you, and are happy to look into it. So you need a safe huh? What is the first step? Where do you look? How much does one cost? What kind do I need? What size should I buy? All of these are good questions, and questions that you need to answer before you buy anything. Not all safes are created equal and not all safes do the same job. Most people start out asking a friend who owns a safe and progress to the internet from there. There is so much information available that it can be overwhelming. I am going to try to give you some information and take away part of the mystery for you. Have you ever had to have a locksmith come out to rekey your home or make a car key after you lost yours at the lake? Many of us have, in fact these are two of the most common services that we provide. Quite often it seems that the caller gets a case of sticker shock when they ask for a quote. We often hear that the dealer is cheaper or the caller wants to bring the item into the shop. I'd like to take the opportunity to talk about both scenarios. Are you aware of the "locksmith" scams that are currently plaguing America? They are real, and they are here in Florida. In fact, there is a major call center in Tampa. These scams prey on the consumer when they are the most vulnerable- when they have an emergency such as a car or home lockout. The scammers have blanketed the phone books and the internet (mostly in large markets; more on that later) with multiple listings under various names. So many people go straight to the phone book, online through computers and cell phones, and even through their cell provider's 411 services that it is very easy to be given the name of one of these illegitimate companies. When you call a locksmith, or any other professional trade for that matter, what does the price that you're quoted really consist of? I guess what I'm trying to say is, make sure that you are comparing apples to apples. We have had many calls regarding pricing over the years. One thing we've noticed is that there seems to be quite a spread in the quoted prices that customers are receiving. We always try to look out for the customer, whether or not we win the job, and advise them to make sure the quote is for the "whole" job. I believe that sometimes the caller only gets quoted the actual work, but not other charges that may come into play, such as a trip charge or even labor. We've all heard the saying "you get what you pay for" right? Below is an example of a poor electric strike installation. Did this customer get what they paid for? While we will never know, it's worth asking the question. The cheapest price is not always the best way to go. This strike installation is not only ugly, but the oversized cut-out makes the strike weak and if a replacement or upgrade is ever needed it may take a lot more work, at an additional cost, to accomplish than if the strike was properly installed in the first place. Emergency Hours After Service is currently NOT AVAILABLE. THE VILLAGES® is a registered trademark of Holding Company of The Villages, Inc. Lock It Up, Inc. is not affiliated with, or sponsored by, Holding Company of The Villages Inc. or its affiliated entities.